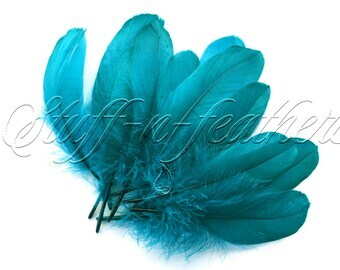 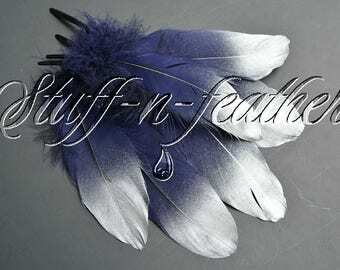 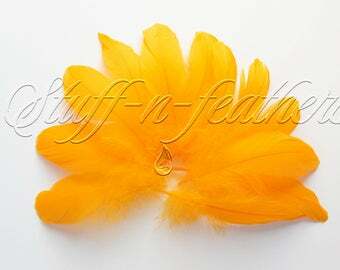 This is a listing for a dozen loose hand selected premium Goose feathers – Goose pallets – Black, dyed. 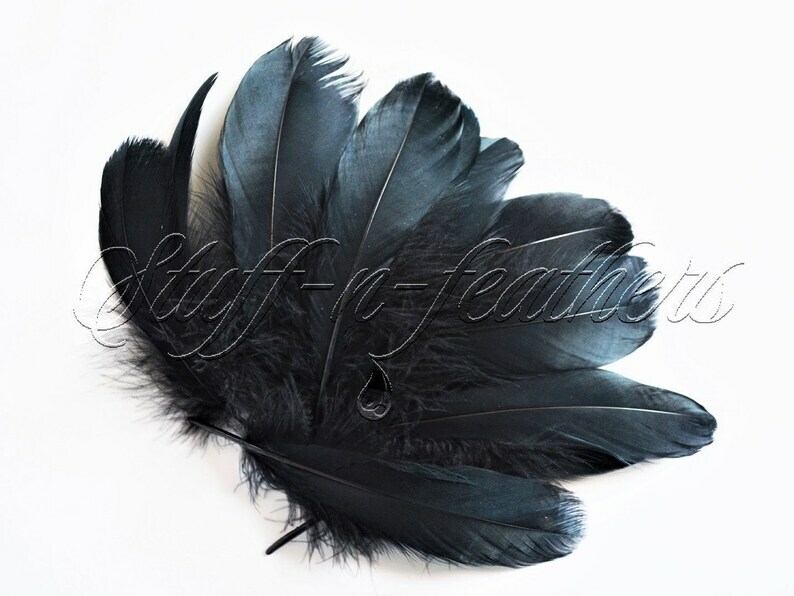 Can be used as a substitute for crow, raven feathers. 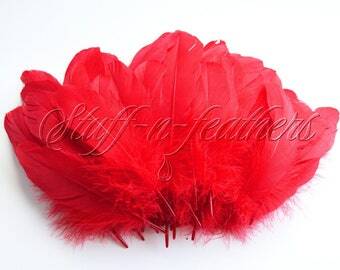 They are perfect for wedding decoration, table setting and accents, hair accessories, fascinators, mask, millinery, and any craft projects. 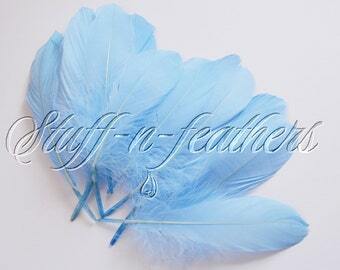 Excellent product w/ rapid delivery.